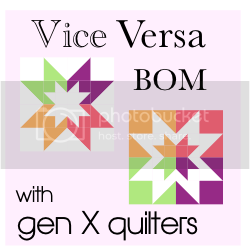 This month's blocks are comprised of LOTS of HSTs! Loving how these are sewing up - can't wait to make more! I am a wife, mom to two, and home-based business owner / seamstress who tries to balance it all! PQ "Sweet Treat" Challenge 3 - Finished!